It all started with Eris, the Greek goddess of discord. Enraged that she did not get an invite to the wedding of King Peleus and the sea nymph Thetis, the shunned goddess crashed the wedding of the divine party, tossing a golden apple into the crowd with the words “to the fairest” written on it. Naturally, the most beautiful goddesses in attendance—Hera, Athena, and Aphrodite—claimed the apple, resulting in a brawl over who, in fact, was the most beautiful. The job of judging the beauty contest fell on the shoulders of Paris of Troy, who chose Aphrodite. Shortly after, the Trojan War began, and the rest, as they say, became history. 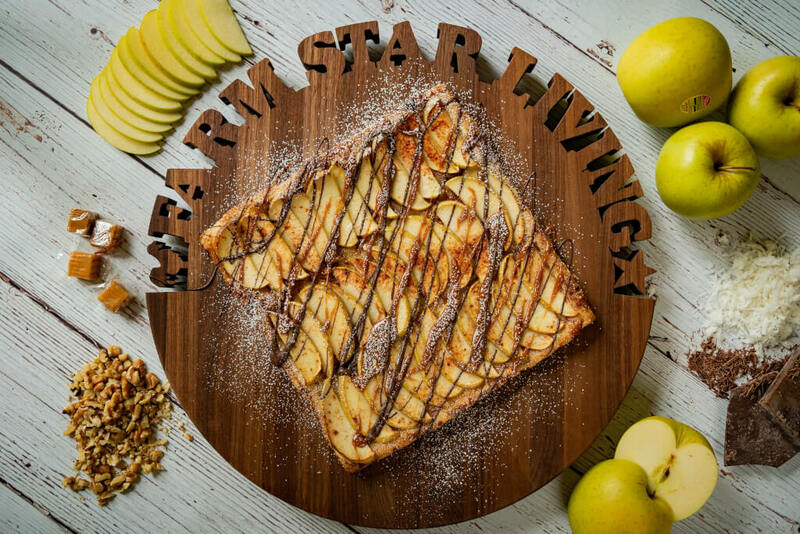 While the Golden Delicious apple may not directly descend from the apple that catalyzed the Trojan War, we at Farm Star claim the Golden Delicious as one of the fairest apples of them all. Its adorable freckles, golden-sunrise hue, and flush of pink make this particular hybrid as tempting as its famous ancestor. The Golden Delicious apple was discovered by chance in 1905. Speculation claims that it may be a cross between the Grimes Golden and Golden Reinette, and with an overflowing gene pool of 57,000 genes, it possesses the highest number of genes in any plant. Its traditionally sweet and mild aroma make it perfect for salads, cider, cooking, and using as a saucing blend. 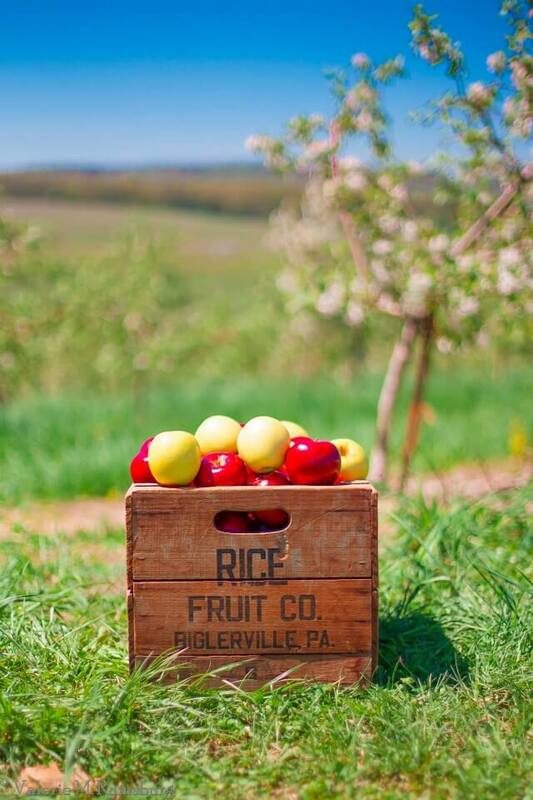 Storing and packaging this precious cargo of juicy sweetness is the job of the Rice Fruit Company located at the heart of Pennsylvania’s apple country. Founded in 1913 by Arthur Rice, this family-run company has a strong lineage that traces back to 1790 when Daniel Rice, the first member of the Rice family, arrived as a young German immigrant and settled into the picturesque foothills of rural Adams Country. The company currently packs and stores twelve other varieties of apples and three varieties of stone fruit. 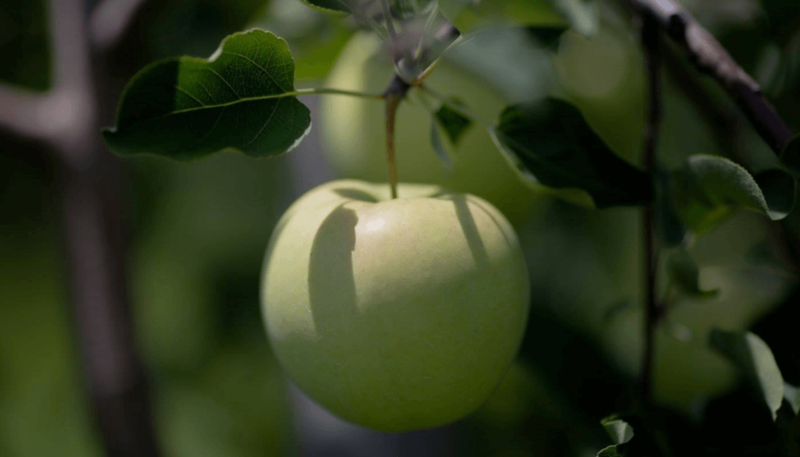 Probably one of the most buzzworthy fruits, apples need no introduction. In fact, the health benefits of the apple can be summarized in the proverb, “An apple a day keeps the doctor away.” Thanks to their high levels of boron, apples can help improve your memory, mental alertness, and electrical activity of the brain. Find out more about the apple in our Foods A-Z health guide. Don’t get stuck comparing apples to oranges when there are so many ways to compare apples to apples! 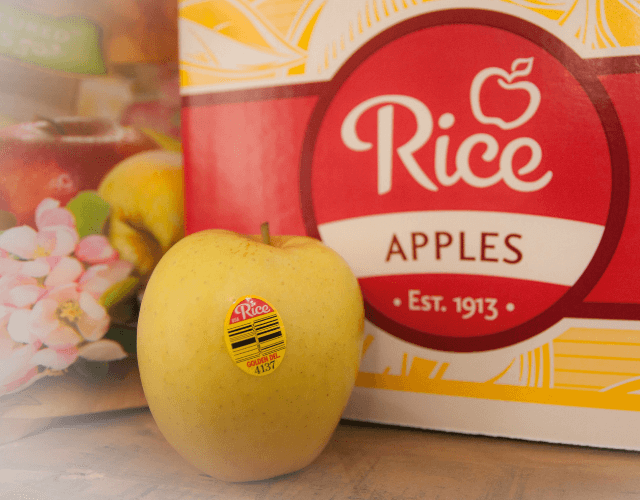 Golden, delicious, and appetizing, make the Rice Fruit Company’s Golden Delicious your #1 whether it’s for the kiddos bobbing for apples during Halloween or for the family’s favorite apple pie. Want to go rogue this upcoming holiday season? 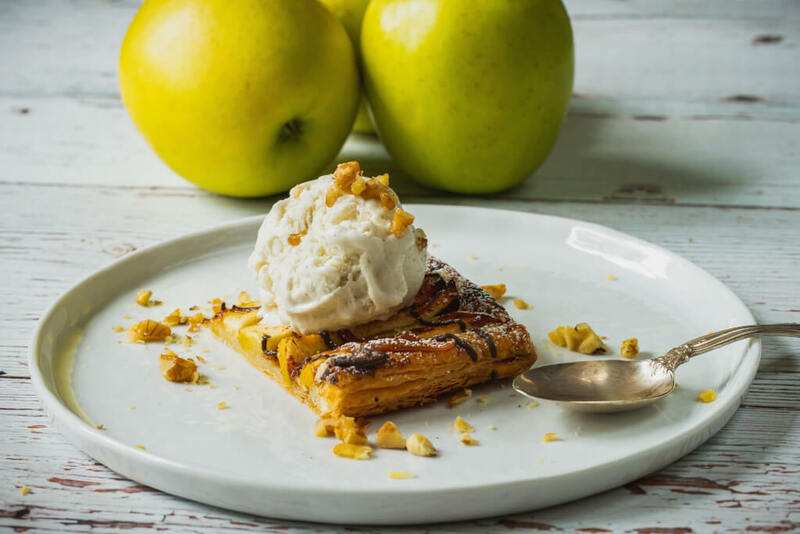 Try our Golden Delicious Apple Flatbread recipe.